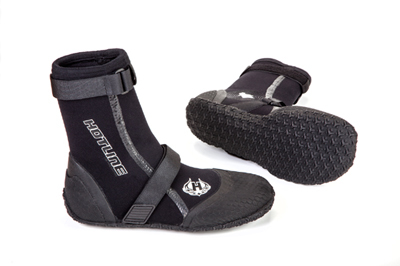 Developed in the frigid waters of Santa Cruz, Hotline's 5mm surf booties are designed to maximize board control, while minimizing heat loss. Our innovative Sealed Split Toe offers the best of both worlds, combining the dexterity of a split toe bootie, with the protection of a round toe. *Hotline Boots fit pretty true to size. No half sizes available. We suggest staying in the same boot size for half sizes but it's personal preference.